France is a country synonymous with fine dining. From the endless rows of bountiful vineyards to the wild forests of the hinterland, French cuisine is all about making the most of the varied ingredients the nation’s diverse landscape provides them with. In order to do so, all the best French chefs will tell you that you need to visit the local markets for the freshest and finest ingredients. 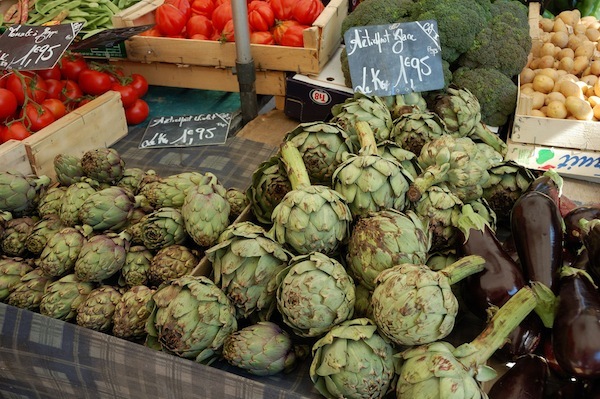 St Tropez House looks at some of the best and most beautiful food markets in the area for you to visit in preparation for the explosion of local produce that autumn brings. The market season began this year in January with the fifth edition of the Fête de la Truffe. 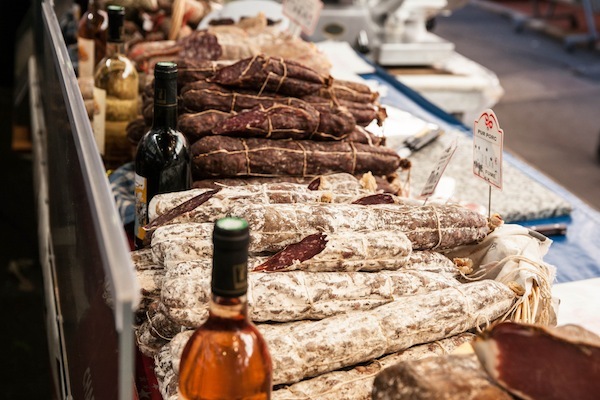 Market stall vendors lined the streets of Grimaud shoulder to shoulder with some of the region’s finest chefs to share with visitors their passion for truffles. Menus were exhibited with a great variety of dishes each with its own inventive twist on truffle based dishes. In spite of the rain, the food and the market were very well received by all who attended. Likewise the olive and flower fair of le Plan de la Tour in April was a great success and a worthy display of the best produce in spring time Provence. The autumn market season in the St Tropez area truly launches at the end of September with the Fête du Vin Cuit once more filling the streets of Le Plan de la Tour. This year, visitors were offered the chance to sample an authentic grape pressing experience and to enjoy the fruits of their labour with a wine tasting reception afterwards. As with most local festivals, there were traditional dancers in the local red and white gowns of Le Plan de la Tour who performed to live music. A perfect companion to the Provençal wine. Just under two weeks later, Sainte Maxime was enjoying festivities of its own as l’Association Saveurs et Terroir de Provence organised the twentieth instalment of the Salon du Gout. Around forty stands were installed outside the town’s tourist office for one of the Côte d’Azur’s largest autumnal gastronomic gatherings. A packed programme of gourmet food tasting, cooking competitions and regional dishes were laid on for the lucky visitors. Event president Michel Hebreard stressed that the Salon du Gout should not be confused for a simple market. The quality of the chefs and the handpicked ingredients and the beauty of their resulting artisanal dish mean that this is a rare chance to see and taste the finest dishes and natural produce of the French Riviera. For something rather less serious, La Fête de la Chataigne at La Garde-Freinet is one of several market festivals across France to celebrate the chestnut season. A total of seventy market stalls bring to life the quaint and charming town of La Garde-Freinet between the 19 and 26th October. There you will find chestnuts in all their various forms: Marrons glacés, marrons grillés, crème de marron, glace à la crème de marron. Truly a feast for food lovers! A series of guided visits to the chestnut groves of the Maures mountain range also provide an excellent excursion opportunity from the lively town centre. The final autumnal festival before the arrival of the Christmas markets is the glorious Fête de l’Huile d’Olive at Sainte Maxime on the weekend beginning Friday 14th November. A true Provençal introduction to the region’s passion for making fine Mediterranean olive oil and a chance to get up close and personal with the creators before taking some gourmet olive oil products back home. With so many festivals taking place there is little wonder St Tropez continues to draw the crowds long into the autumn. The French Riviera is truly a beautiful place to be during this magical season and is best enjoyed with a serving of the region’s finest traditional dishes and best local produce. All of the host towns are within an hour’s drive from St Tropez. Discover them all and more from the comfort of a luxury villa in the French Riviera’s most glamorous port town.